The person who brought the animal in their luggage was fined after TSA officials found it inside a computer hard drive. They've had it with these snakes on this plane. 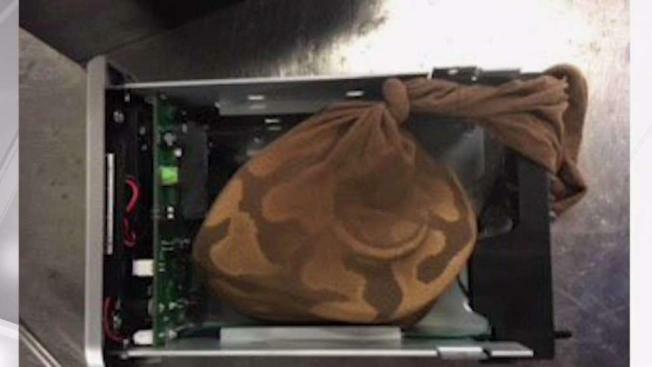 Transportation Security Administration agents seized a ball python that was carefully concealed inside of a hard drive and inside a checked bag for a Sunday flight to Barbados from Miami International Airport. "This organic mass was not explosive, but it shows you can't hide any threat from us," TSA spokeswoman Sari Koshetz tweeted. U.S. 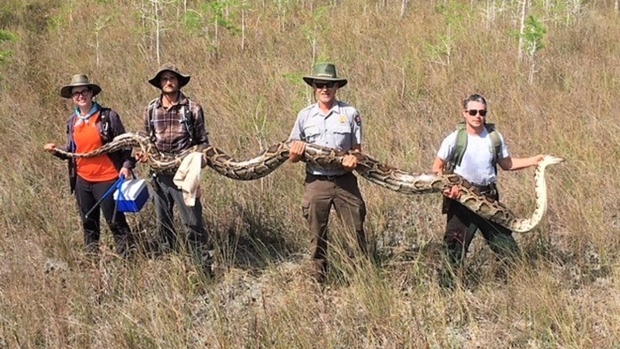 Fish and Wildlife took the snake and the passenger did not make it on the plane to Barbados and will be fined, according to Koshetz.